Former Secretary of State Rex Tillerson reportedly believed President Donald Trump's son-in-law, Jared Kushner, stoked rumors of his impending ouster. "I know who it is. I know who it is. And they know I know," Tillerson told The New Yorker before he was fired last month. 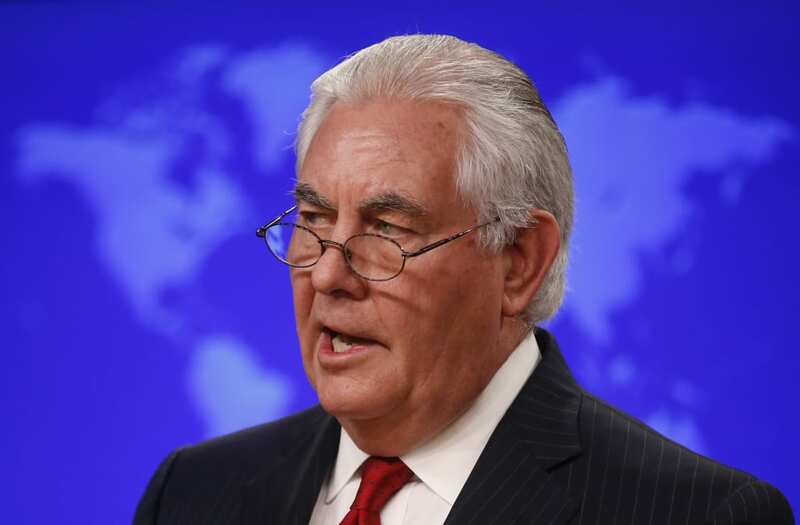 After 14 months as the US's top diplomat, during which he oversaw the firing of hundreds of his department's rank-and-file, the former ExxonMobil CEO was unceremoniously fired via presidential tweet. But Tillerson doesn't lay blame for his ousting entirely on President Donald Trump, who undermined him and froze him out of his inner circle. "I know who it is. I know who it is. And they know I know," Tillerson told The New Yorker's Ronan Farrow in an interview before his March firing. Tillerson was reportedly referring to Trump's son-in-law and adviser Jared Kushner, who butted heads with Tillerson repeatedly, in part over Middle East policy, which Kushner was given control of by the president. In one instance, Tillerson objected to United Nations ambassador Nikki Haley's decision to withhold funding for Palestinian refugees — a move she made after consulting with the White House. And when Tillerson pushed to reinstate the funding, Kushner was reportedly responsible for planting negative news stories about it, a State Department official told Farrow. A source close to the White House told Farrow that Tillerson wasn't particularly open to cooperation with Kushner and other West Wing officials and cabinet members. "Here's what I saw: a President who surprised [Kushner] on the spot and said, 'You're doing Mideast peace,' after the campaign. A guy who tried to brief Rex every single week but could never even get a call back or a meeting," the source said. "And it wasn't just Jared. It was many people across the government, including fellow Cabinet members, who complained."